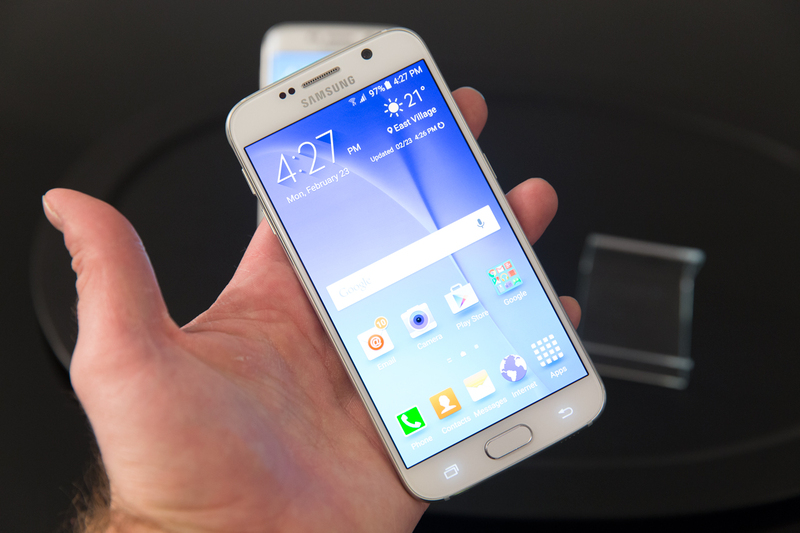 Samsung has two brand new smartphones, the Galaxy S6 and Galaxy S6 edge. It’s a first for the company, in terms of revealing two different versions of its primary flagship on stage at the same time, and we got a chance to try both of them out to see how they perform. The resulting experience was impressive in both cases, and while the biggest changes were on the design front, Samsung’s software shifts also came out as very promising overall. 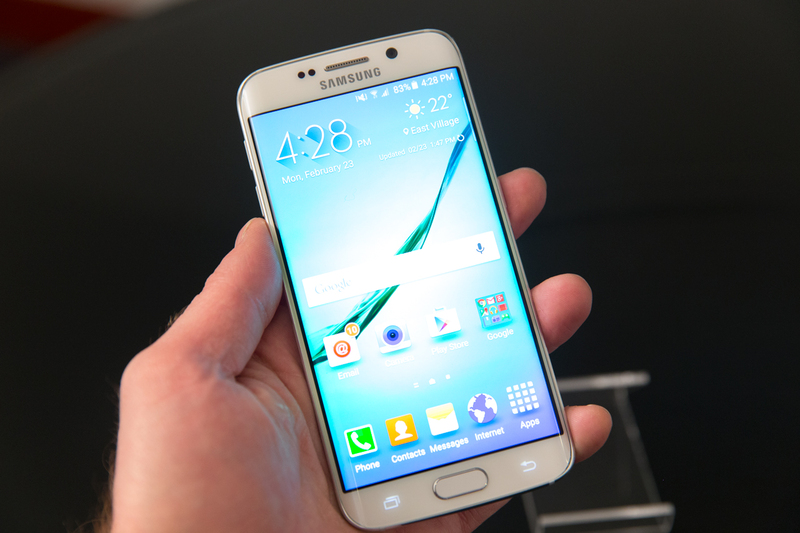 The Galaxy S6 and S6 edge both eschew the usual plastic Samsung has favored for flagships in the past for glass and metal, but the S6 has a more traditional flat front face, as well as a design that can’t help but be compared to iPhone devices, resembling something of a cross between the iPhone 5/5S and the iPhone 6 or 6 Plus. It has a 5.1-inch display with glass both front and back, and with a metal edge running all the way along the outer edge of the phone. While the Galaxy S6 certainly has iPhone-style cues, it would be overly reductive to say it’s at all a clone or copy. Both the S6 and the S6 edge feature a new special treatment that pairs a reflective coating of metallic paint applied in an ultra-thin layer to the underside of the protective glass surface. The machined metal edge, which is part of a solid frame that extends throughout the body of the S6, actually extends at every point slightly above the glass, which Samsung says is designed to help make sure any impact from a drop is absorbed by the part of the phone which is shatter-resistant, instead of the glass surfaces. The S6’s design is already a huge departure from Samsung’s frankly boring past industrial design, injecting some fresh life in a brand that definitely needs to inspire new passion. In the hand, it feels much more premium than the Galaxy S5, and though some die-hard fans of accessible batteries might feel saddened that the S6’s is locked away (and that the SD card slot is also gone), the trade-offs in terms of Samsung finally having made a flagship that doesn’t feel somewhat like a child’s toy are well worth it. 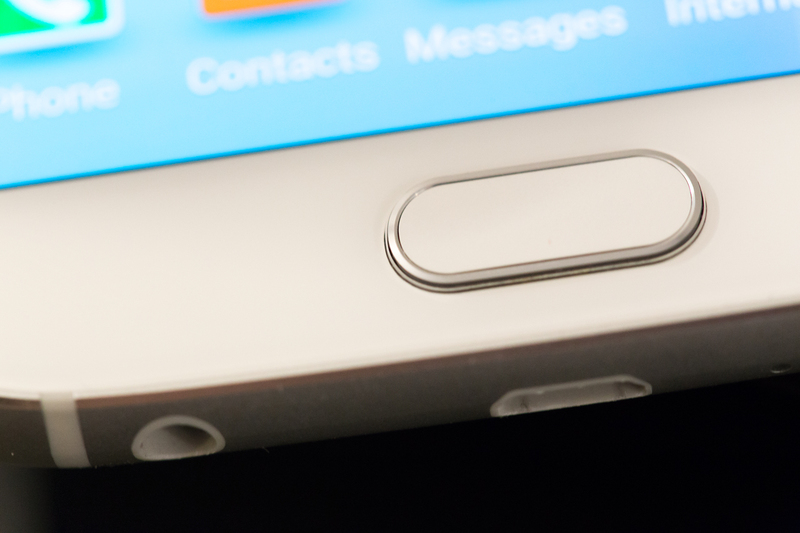 If the Galaxy S6 marks Samsung’s graduation in terms of smartphone industrial design, the S6 edge is a post-doc. While the Note Edge seemed more like an experiment, reserved for users who might be seeking something especially untested and novel, the S6 edge’s sloped sides feel instead like a mostly aesthetic design decision. The two curved edges still house the same single display that occupies almost the entire S6 edge’s front face, rather than covering a discrete screen like on the Note Edge, and it ends up resulting in fewer acrobatics to try to add extraneous features that users don’t need on the software side. The S6 edge doubles down on the premium feel of the S6, somehow convincing the brain that it’s a sleeker and slimmer machine than the more traditional Samsung flagship even though it actually isn’t that different in this regard. And combined with the new color effects, and taper of the metal frame where it encounters the curved glass, this is a device that both looks very good and feels nice to hold. The new Galaxy S6 offers a number of features that improve the overall experience vs. past devices, but the two most practical might be the use of a single touch fingerprint reader in the home button, which works like Apple’s Touch ID instead of with swipe-based reading like the the GS5, and a double-tap home button shortcut to instantly trigger the camera wherever you happen to be in the OS on your phone. A redesigned, much lighter user interface with a lot more in common with stock Android 5.0 Lollipop, combined with the new camera shortcut and the actually useful fingerprint sensor (the previous one worked, but was a pain to operate, especially one-handed) all combine to make this one of Samsung’s best-ever efforts out of the box, based on the time we got to spend with the device. In very limited testing, both the new front and back cameras proved able to take good pictures in lighting that was fairly challenging in terms of mixed brightness and weird color balance. I did manage to take some blurry photos by basically doing my best to foil it, but based on very early experience it seems like it could be a strong contender in terms of Android smartphone camera excellence. Samsung’s Galaxy S6 is some ways a less whiz-bang update than others, at least in terms of flashy software features and questionable hardware additions made just with the seeming intent of pushing the envelope. Instead, what they’ve presented is a device that feels in almost every way like a more mature product than anything they’ve shipped previously, with a few smart new features that either 100% improve broken ones from earlier generations, or that genuinely add convenience features people will actually use. One of Samsung’s best-ever efforts out of the box. Despite Samsung’s tremendous global success in terms of device sales and market share, it has never offered my personal favorite Android hardware. The S6 and S6 edge actually stand a good chance of earning that distinction this time around, thanks in large part to a design that finally screams ‘premium’ when touched or held.